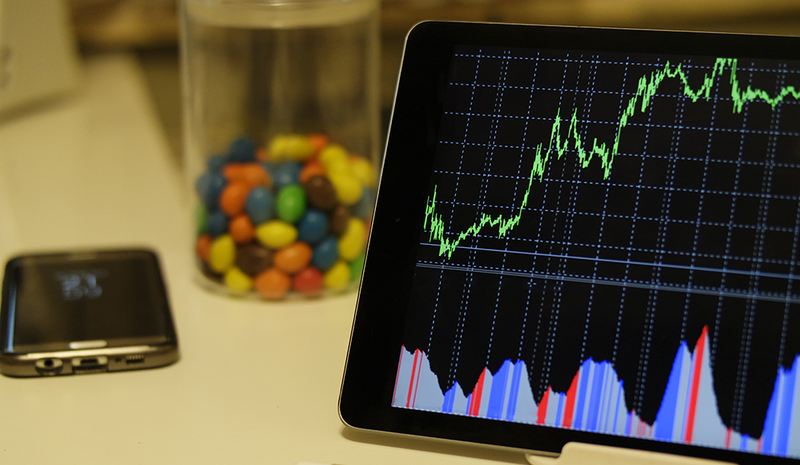 Not long ago, the concept of data analytics was foreign to the field of recruitment. Nowadays, it is a crucial skill for hiring managers and recruiters, as it can be a powerful tool to improve results across the entire talent acquisition process. It can be difficult to work with complex data sets, especially when lacking a clear focus. A key concept is “garbage in = garbage out,” or “GIGO”: If the collected data or analytical model is incorrect, the information retrieved from it will be meaningless, leading to false conclusions or no conclusions at all. - Data: Number of users across several steps of the recruitment funnel; time spent on those steps; drop-off rates across these steps; etc. These are the kinds of relevant recruitment data and models that give recruiters the ability to perform the right analyses, gain better insights, and make well-informed decisions during the talent acquisition process. Recruitment analytics should always produce actionable insights to improve campaign performance and optimize recruitment and hiring processes. The funnel-like shape of this model, moving from the widest point to the narrowest, stems from the fact that every stage of the journey involves some amount of drop off. Not every customer who is aware of the product will be interested; not every interested customer will desire to purchase the product; and not every customer who desires the product will take action to buy the product. 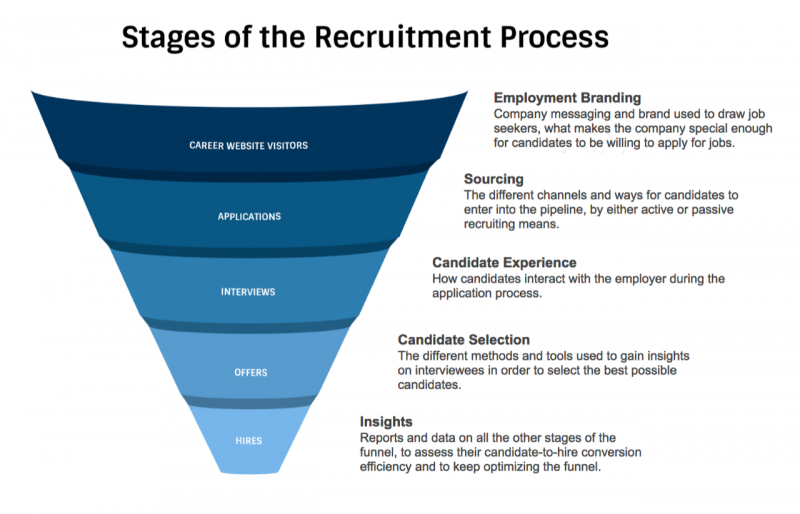 Each of these stages has its own relevant metrics related to the drop off or churn between steps, such as conversion rates of visitors to applicants, applications to interviewees, interviews to offers, and offers to hires. As with other funnels, an important consideration when working through the recruiting funnel is that friction needs to be minimized between stages. “Friction” is anything that keeps the candidate from making progress along the application process, including sourcing problems, poor employer branding, technology usability issues, ineffective hiring processes, and unattractive offers. Both the user experience (UX) and the candidate experience need to be streamlined and optimized in order to increase recruitment effectiveness. The aim of the HR department is to achieve recruitment goals with the best possible ROI. This is done by obtaining the right volume of hires through an optimized funnel with reduced drop-off rates. In other words: By hiring the right number of qualified candidates, the business will improve costs and optimize the recruitment process. Effective recruitment analytics require proper data collection, an application funnel with a logical flow, optimized stages, and a focus on the right numbers. Not all metrics are equally valuable, and some of them might even be misleading. Organizations need to focus on data that will help them make better decisions and improve ROI. The right tools can help manage data. A programmatic recruitment platform, for example, can analyze data to make better buying decisions. These insights can be leveraged to optimize job ad placements to reach the right audience and attract the right type and amount of candidates. Volume of Applicants: Number of applicants entering the top-of-funnel stages. This number can yield insights about the effectiveness of the application website, employer branding efforts, and sourcing initiatives. Volume of Hires: This refers to the number of hires actually joining the organization and starting to work. The ultimate goal of the recruitment process is to achieve an optimal volume of hires with a high retention rate. Cost per Hire (CPH): Defined as the sum of all recruitment costs (internal and external) divided by the total number of hires during a certain period. Internal costs are all the costs of the recruitment process inside the company (HR staff, organization, capital), whereas external costs are all the expenses related to external vendors involved in recruitment. Lifetime Value (LTV): This metric is very specific to each business, as every organization has its own definition of quality of hire. However, some measurements are commonly used by almost all businesses, including performance levels, time to productivity of a new hire, and retention rates, among others. By carefully tracking and optimizing these metrics, talent acquisition teams can gather the information they need to consistently improve their recruiting processes. HR professionals need to have thorough understandings of their organizations’ business goals, as this will allow them to optimize their recruitment processes in service of meeting those goals. Choosing a recruitment platform with programmatic recruitment capabilities and a focus on the needs of recruiters (rather than the needs of publishers) can give an organization a deeper understanding of data across the entire application funnel. The resulting insights can help to achieve recruitment goals while improving the bottom line. Mike Kofi Okyere is founder and CEO of Perengo. Follow Mike at his HR Technologist blog on Medium. Mike Kofi Okyere is founder and CEO of Perengo, a programmatic recruitment platform for performance-conscious recruiters working for high-growth businesses and Fortune 1000 companies. Mike is applying his years of experience in the world of eCommerce and ad tech to improving the world of recruitment through algorithms and machine learning. Previously, he served as the head of performance advertising for AdMob (SEA/AU NZ) before its acquisition by Google in 2010. At Google, he drove the strategy and execution for mobile display advertising as head of mobile advertising for Australia/New Zealand, and then head of mobile display advertising for Google Asia.